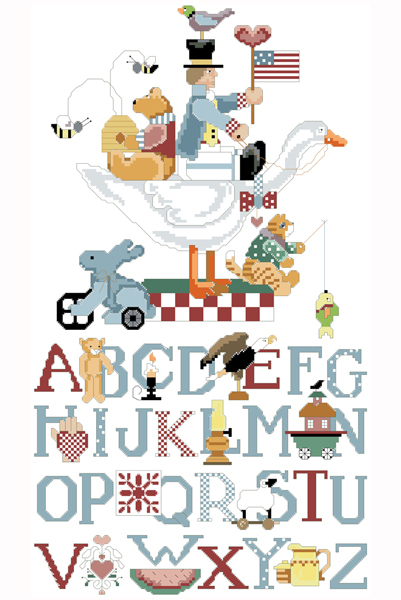 This good old fashioned American Sampler portrays whimsical images of America, such as; Uncle Sam, Teddy bears, a bald eagle and an American flag. It will coordinate beautifully with an Early American decor. Contents: 118w x 209h in stitches. 11-3/4" x 20-7/8" on 14 count AIda.